Chloe Ferry and Sam Gowland could be seen loved up as they chill in Thailand. The pair are having their first holiday together, and they could be seen kissing on the beach in Thailand. 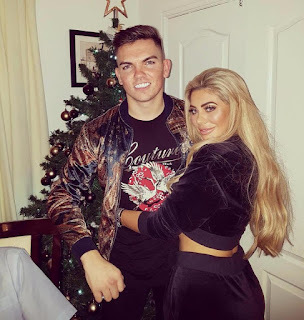 Chloe Ferry recently admitted her new boyfriend is definitely the one for her and they've been together for four month. The pair are both 22 years of age. Chloe posted the picture of her and her boyfriend on Instagram and captioned it 'Forever and Ever'.